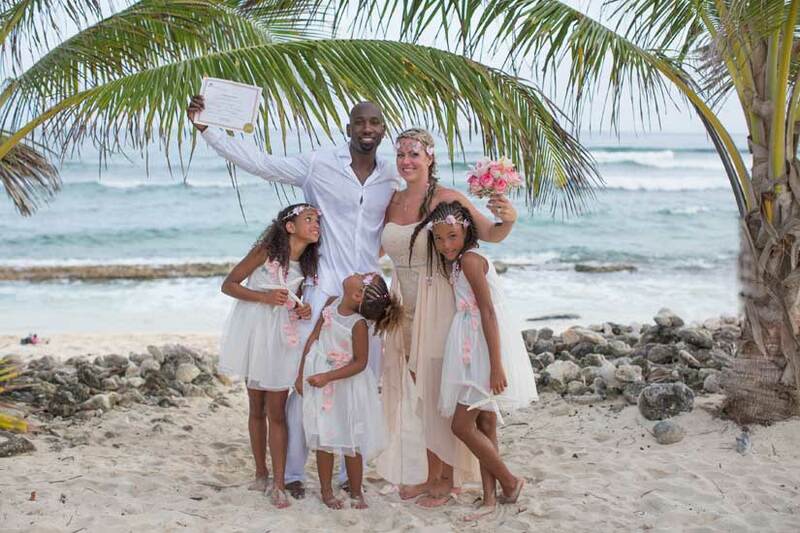 Tell your spouse you'd do it all over again by renewing your wedding vows in Cayman! It is hot, hot, hot in Cayman, and our sunsets are more beautiful than ever. That's one of the reasons our summer ceremonies are more popular this year than ever before. You can have your simple beach wedding, wedding blessing or vow renewal on the public beach of your choice, or opt for a more intimate setting at your condo or villa. 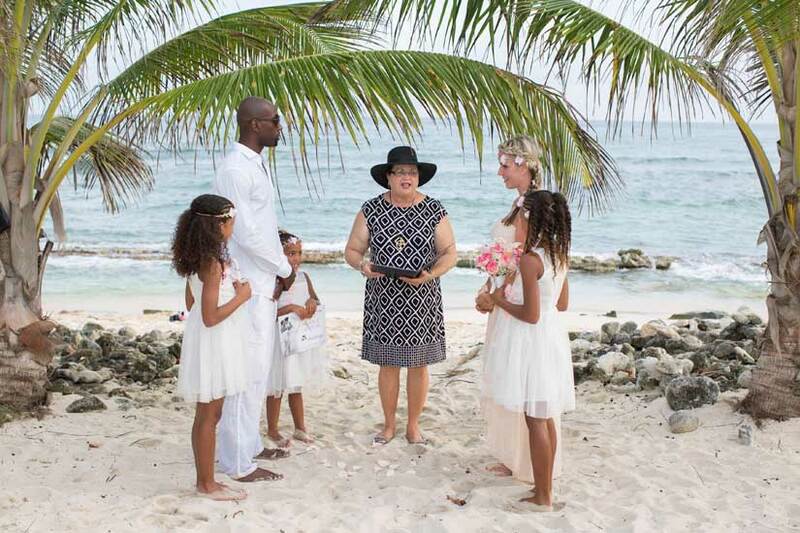 Cayman vow renewals are particularly popular in the summer because couples come on vacation with their kids and want to do something really special, unique and family centered. A basic vow renewal whether it's 5, 10 , 15 or 20 years or any time in fact fits the bill perfectly. Ceremony - I will work with you to personalize your ceremony, include children (and grand-children) and give you a souvenir script of the ceremony. Champagne & Cork - we do a special ceremony after you have open your free bottle of champagne and toasted each other. Certificate - your own keepsake certificate recording the event, where it too place, when it took place which your kids can sign as your witnesses. That's it! You can choose to add other services such as photography, cake, flowers etc. Children under 10 years are given a souvenir gift when available.